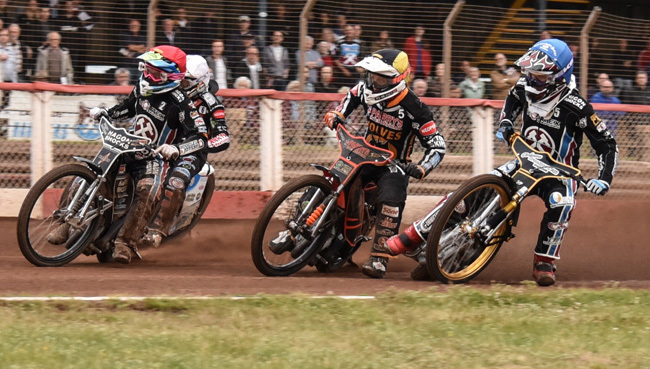 WOLVERHAMPTON endured a night to forget as they were condemned to a resounding 55-37 defeat at Lakeside. 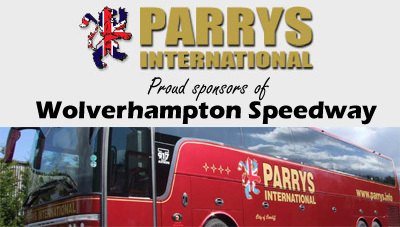 The Parrys International Wolves travelled to the Arena-Essex Raceway without key duo Joonas Kylmakorpi (knee injury) and Sam Masters (Premier League meeting). They were subsequently dealt their seventh successive away defeat on a tough evening against a determined Hammers side. 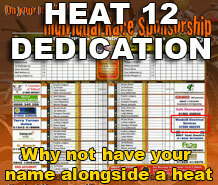 Teenage racer Max Clegg top scored at reserve, partnering Kyle Howarth to 5-1s in heats 2 and 12 on his way to paid double figures. It was an excellent night for the youngster on a personal level – but he admitted he was disappointed to see his side leave empty handed. Said Clegg: “It was always going to be hard at Lakeside, their boys are dialled in around there just like we are at Monmore. “It was close at one stage in the middle of the meeting, but they pulled away towards the end and it was a shame we couldn’t get a point. Clegg and Howarth impressed in the lower order to outscore their Lakeside counterparts, but the Hammers top four had too much firepower for Peter Adams’ side. 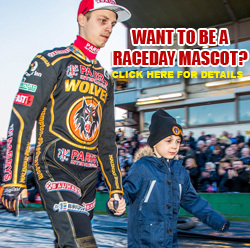 Swedish duo Kim Nilsson and Andreas Jonsson both went unbeaten for the hosts as Wolves provided only two race winners. Skipper Freddie Lindgren was still feeling the effects of his heavy crash in Cardiff last weekend, and whilst Peter Karlsson and Jacob Thorssell put in solid showings they were well beaten. 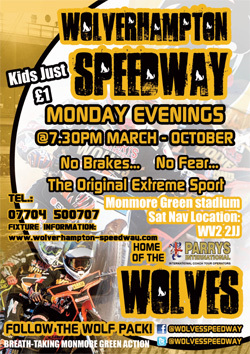 Wolves will look to bounce back as they return to home shale for a mouth-watering top of the table clash with Swindon at Monmore Green on Monday (7.30).